…and how it will curb your cravings, improve (ahem) bowel function, and reset your hormones. In my Keto Clean Program, the questions I get asked most frequently surround “resistant starches”. Namely, what on earth are they, why should I use them, and why is a keto expert telling me I should be eating carbs?? I created this article as a resource for my Keto Clean members, and for my community at large, and wanted to share it with you. NOTE: This article is 1743 words. If you want the simple supplementary checklist and Quickstart Guide to Keto and Fasting as a PDF download, get it right here. It’s free. Resistant Starches: What On Earth Are They? Simply stated, resistant starches are ‘carbs’ that “resist” digestion. Meaning, because of their structure, they cannot be broken down for energetic use. My overriding philosophy with any type of program I create is how will this effect someone in the long term. Meaning, how can I avoid sacrificing longevity and/or health span whilst also creating momentum with someone’s health goals. Resistant starches tick off both proverbial boxes for me. They do not interfere with weight loss goals — and it is quite the opposite. Consistent consumption of resistant starches attenuate cravings, up regulate satiety signalling, and help you to stop feeling crazy, especially when you are following a ketogenic diet. I am a super fan of a well formulated, plant-rich, ketogenic diet. Inflammatory markers, weight loss, brain health, along with a whole host of other health markers improve with a higher fat diet. Despite these awesome benefits, most people fail at keto in its application over the long term. It often feels too restrictive for long term use, and a common pattern I see is that carbohydrate restriction becomes such a massive physiological and psychological mindset shift that people cannot keep at it long term. Resistant starches are a key part in my strategy for turning keto clean into a lifestyle and not simply a diet. Insulin resistance is a hallmark of Type 2 Diabetes, Metabolic Syndrome, PCOS, and many others. 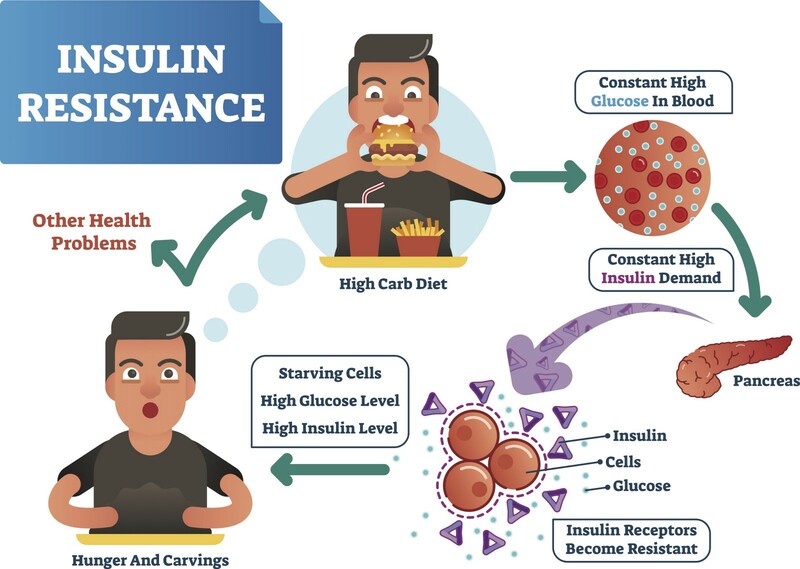 Insulin resistance at its essence, is a learned, poor response of insulin by the cells insulin is targeting. Insulin and your cell’s response to insulin work the same way as does the favourite song and your tolerance for it. The more you have insulin around, the less your cells want to respond to it. Just like the more the song is played, there is an inversely proportionate desire to listen to it. Said in another way, over time your receptors that allow glucose through to the interior become less and less responsive to the insulin. Insulin resistance makes it super hard (and super frustrating) to lose weight… not to mention the other physiological chaos that ensues. You’re tired, hungry, and have no energy, and have glucose aimlessly shlepping all over the place. While there are many other proxies to improve insulin resistance (exercise, sleep, fasting, caloric restriction, a ketogenic diet) a nutritional intervention I often pair with this is daily consumption of resistant starches. Preprandial (“pre-meal”) consumption of resistant starches have been shown to improve post prandial glucose regulation, and homeostasis. An absolutely critical intermediary in insulin regulation! In other words, having resistant starches before a meal will help attenuate your blood glucose levels after you eat…even if you eat a carby, or high protein meal. One one of the classic variables that need to be addressed, in particular with women, is improving the signalling between the brain and a hormone called leptin. 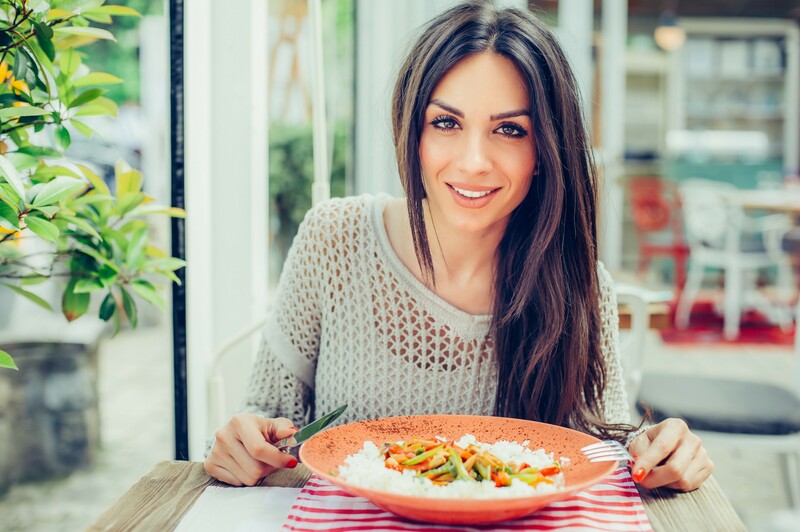 Leptin is your “stop eating” hormone. It is the main influencer on your satiety. However, in an obese individual, there is a disruption somewhere between the leptin being secreted, and your brain picking up those signals to stop eating. In other words, there is a loss of sensitivity between the release of the hormone and the detection of it by the brain. Over eating is the result, because your brain cannot detect that you’re full. While the exact mechanism is not fully understood, it is likely that using resistant starches improve beta-oxidation of fat cells. 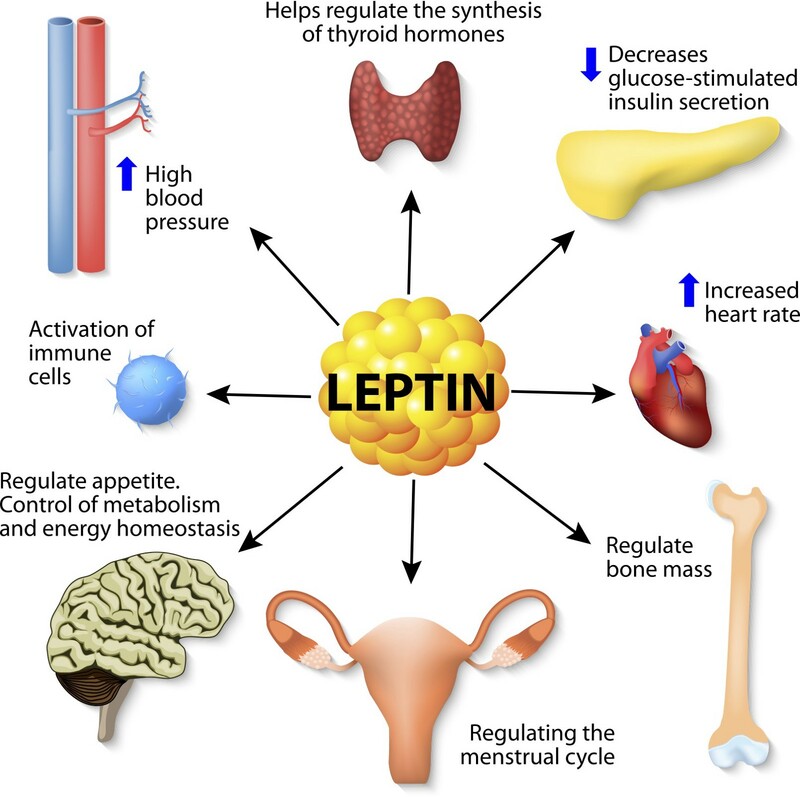 Along with smaller adipose cells, this could be some reasons why leptin sensitivity improves. Resistant starches may also help you experience a more rejuvenating sleep by enhancing non-REM sleep. Non-REM is restorative sleep, often referred to as our “beauty sleep”. Theories around why this happens are again, murky at best, but it seems like resistant starches seem to naturally select for favourable bacteria in microbiome, are able to reduce chronic, low grade inflammation, thereby improving your sleep- wake cycles. And girl, if you are not sleeping well, you know very well this is a special kind of daily torture. Last week on my instagram page, I shared some tips on how to sleep well for that reason. If you cannot sleep well, you simply cannot be healthy. Period. Perhaps the biggest complaint I hear with a traditional ketogenic diet is that, after about 2 weeks of going all in, no matter what you eat, somehow you are absolutely starving. You could eat all the fat in the world, but yet, somehow it is not enough. While this is obviously multifactorial (it may be in part to the switching over to using ketone bodies as the substrate for fuel, or the hormetic stress of a sugar detox, not enough fiber, and a whole host of other reasons) it also may have to do with the microbiome absolutely starving and desperate for a meal of starches. When we apply resistant starches to daily meals, it will help you feel full, in part by feeding the microbiome, as well as helping to curb your hunger. The cool thing about resistant starches is they undergo fermentation in the large intestine (aka the gut) via the microflora. The microflora, being the gracious little bugs they are, will respond in kind by producing butyrate, a short chain fatty acid. Butyrate is probably most famous for its protective effects in colorectal cancer. It does so by decreasing the pH levels in colon, as well as improving transit time in the bowl. Butyrate also upregulates regulatory T cells in the colon (which is a part of your immune system). In part, it does so by helping lower inflammation, but interestingly, Treg cells are also involved in distinguishing between “self” and “other” cells. In other words, butyrate enhances the activity of your immune system in your colon and plays an important role in inflammatory bowel disease, celiac, and food allergies. Butyrate has been shown to help tighten the junctions and barriers of the intestinal wall, making it less permeable and leaky. Food intolerances and food allergies are often corollated with an increased permeability in the intestinal layer. Bottom line — feeding your gut with resistance starches is pretty awesome for gut health. Put them in your shake. Every day I put a tbsp of green banana flour in my daily smoothie. Gives the smoothie a little banana flavour, and a great pairing with a chocolate protein powder of your choice, 1/2 avocado, water, and pinch of cinnamon. Cook rice with coconut oil and let it cool before consuming. In a pot, boil water. Once it is boiling, add in coconut oil, and about 1 cup of white rice. Reduce heat to a simmer, and cook until rice is done. Drain, and let the rice cool completely (about an hour or so in the fridge) before consuming. The beauty here is the coconut oil will bind to the soluble fibre which will allow it to crystallize, and form more resistant starches. There IS a way to do keto over the long term without sacrificing gut health, or have insane cravings. The knock on effects on gut health, hormonal regulation, and metabolism are wonderful, and possibly one of the most under utilized tools for long term use of the ketogenic diet. For women in particular, because of our biology, we will naturally defend and hold on to our fat stores more so than our male counterparts. Resistant starches is a great hack in attenuating cravings, and regulating normal hormone signalling.